We recently partnered with a Local Premier Dental Practice in Bedminster, NJ to help them to promote their Cosmetic Dentistry Offerings as well as the numerous General Services they provide. Like we do with any EDDM Project, we met with the client to discuss the overall goal of their marketing and their budget. This customer was interested in targeting only residences since it would best align with their target audience. We turned to the USPS Route Mapping System to determine the desired local neighborhoods and residents that would best serve as potential clients. Within this tool, you can pick individual postal routes and see the number of addresses and mailing costs in real-time. 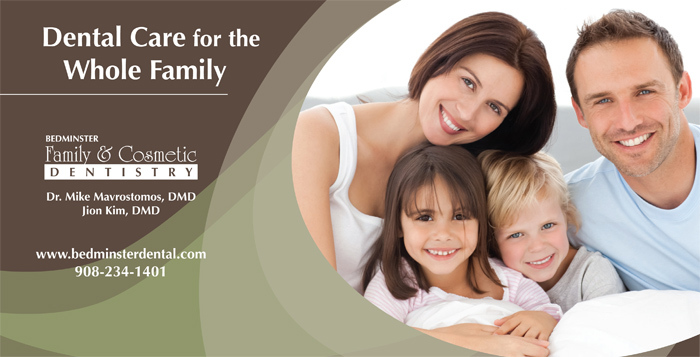 Another benefit for a customer like Bedminster Family and Cosmetic Dentistry is the ability to target routes with larger households to increase the potential results from their mailing. We ended up printing, preparing and sending out 5,000 postcards. Why choose East Coast Media for your Every Door Direct Mailing Campaign? We’re experts in mailing. We have an in-house mailing and design department. Not only can we create your mailing piece with correct indicia and address placement according to the US Postal Service specifications, we can also ensure the size, bundling and paperwork are correct so that your mail piece arrives on time, every time. 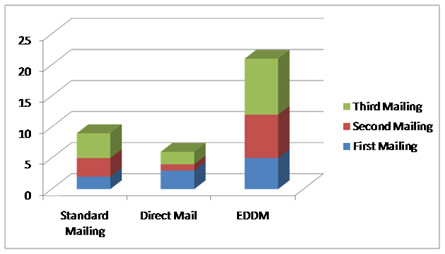 According to the USPS, The USPS Every Door Direct™ mailers have increasingly higher response rates with each mailing. Due to this, many of our clients opt to print their postcards in larger runs to lower printing costs. Extra postcards can be warehoused and fulfilled here and dropped off at the post office for subsequent mailings.